Hidden away in secluded wooded grounds in the Highland Perthshire town of Pitlochry, Scotland. Craigatin House and Courtyard is beautiful early Victorian former doctor's house which has now been transformed into a boutique bed & breakfast, providing a unique blend of the traditional with the luxury of contemporary design. Breakfast is served in our brand new contemporary dining room, where you’ll also find our guest lounge, all centred around our large and welcoming log burning stove. Pitlochry is a welcoming tourist town that boasts a rich clan history and stunning nearby countryside. 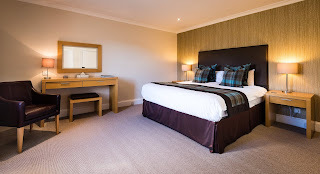 Nestled under the mountain Ben Vrackie, this pleasant town offers some wonderful Victorian architecture and plenty of shops, bars and entertainment venues to occupy people of all ages and tastes. It has has much to offer the visitor whether they are here on business or a holiday break. 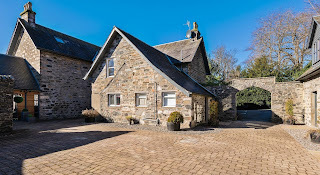 The Pitlochry Festival Theatre, local Whisky distilleries and Blair Castle are all popular destinations for visitors to this Pitlochry bed and breakfast. Also worth a look is the local dam, which provides some stunning views.